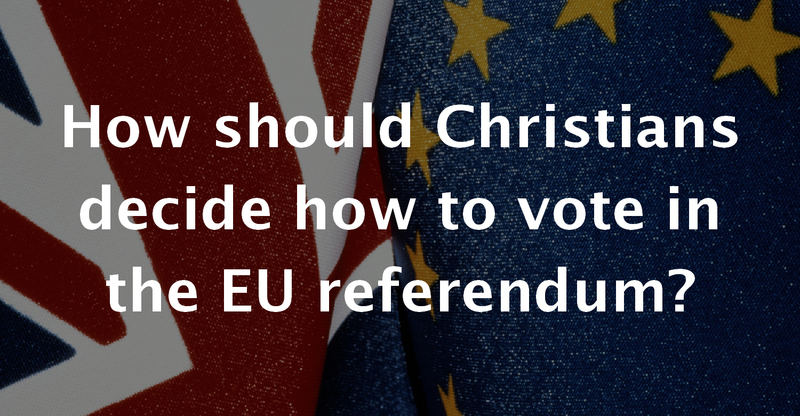 How should Christians decide how to vote in the EU referendum? Unsurprisingly, there isn’t a section of the Bible about the European Union, or that will tell you how to vote in the EU referendum; the Bible isn’t an encyclopedia where you can just look things up and find the answer. And I’m not going to tell you how I’m going to vote, or how I think you should vote. But I am going to look at what the Bible says that might help us make this sort of decision.